1. 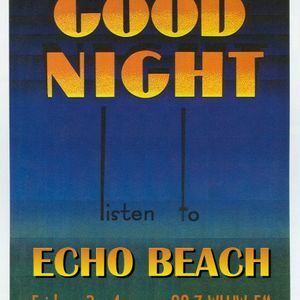 Echo Beach Intro, 2. Easy Star All Stars, 3. Groundation, 4. Nappy Riddem, Fort knox recordings and more. Echo Beach Radio Broadcast from Chicago, 07-05-13, featuring my annual DUBUSA special!